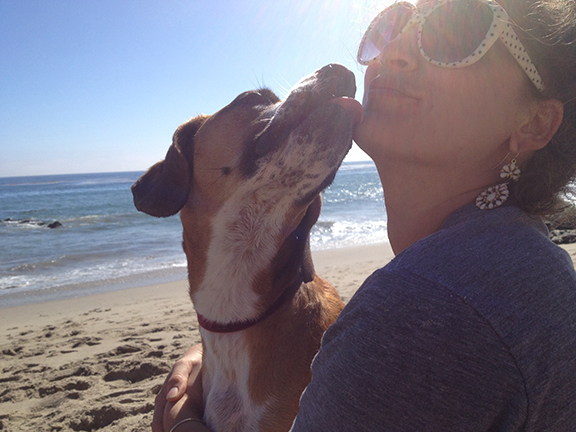 Joshua and I adopted our dog, Dresden, from Take Me Home in California. I had wanted to have a dog since I fell in love with a shelter pup named Biggie in college. 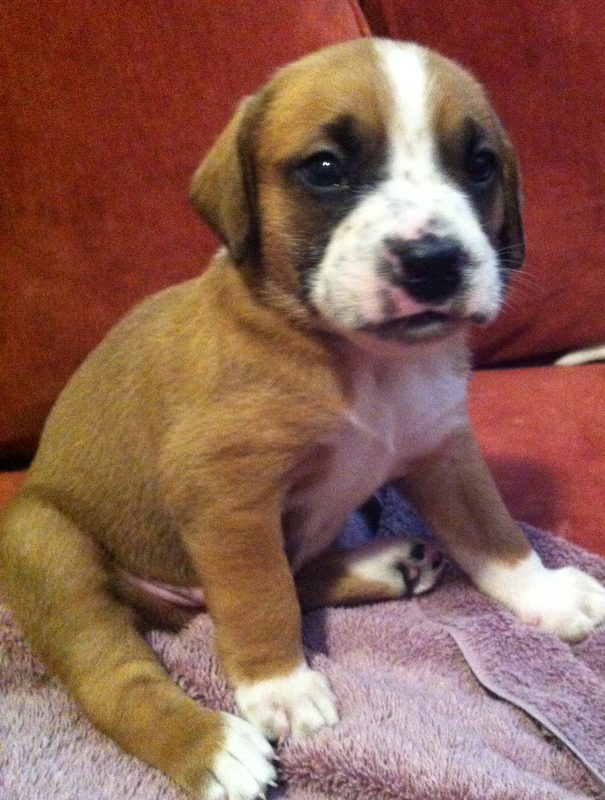 She was a little Boxer and she would have been mine if my landlord would have said yes. I went as far as filling out the paperwork and then they called the landlord. She said no, without hesitating. I was heartbroken. I visited Biggie every day anyway, until one day she wasn’t there anymore. And so we did. Exactly one and a half blocks down the street. We made sure before signing the lease that dogs were allowed and specifically Boxers. And then, as fate would have it, Joshua’s boss was fostering two Boxer pups and their mom. Joshua sent me a photo and I fell in love. They invited us over to meet the family. They had already adopted out the Momma dog and her new family would be picking her up whenever the puppies were old enough to be separated. I could tell that Joshua’s boss and his wife were smitten with Dresden’s brother and it seemed he was going to be a foster fail. Which left Dresden available. Again-thank you universe. It is unclear what Dresden is mixed with, but his momma was a stunning and super loving Boxer, and when I met Dresden I didn’t care that he wasn’t 100% Boxer. Here he is, when I met him. Seeing this still makes me all warm and fuzzy! So, I contacted Take Me Home and asked if I could take him home. They had to come inspect our apartment. I was super nervous that they might tell us we were unfit puppy parents. But they didn’t. They gave us some paperwork and we waited what seemed like forever for Dresden to be old enough to come live with us. And then it finally happened. Dresden came home. I could not have been any more happy to finally have this sweet little dog in my world. We went for walks through the canyon, he played with the dogs in our building and he snuggled with me while we watched movies. Having him is everything that I had imagined it would be, but better. And then I started cooking for him. I am the crazy person who wants to take her dog everywhere and the crazy person that cooks food for her dog. Not only do I cook for him, I started creating dog food recipes. I was working full time and still freelancing so, I needed to save time. I started making Dresden meals in our crockpot. And then, a cartoon light bulb popped up over my head and I committed to writing a cookbook. It took me about three years to actually finish, but I finally did it. 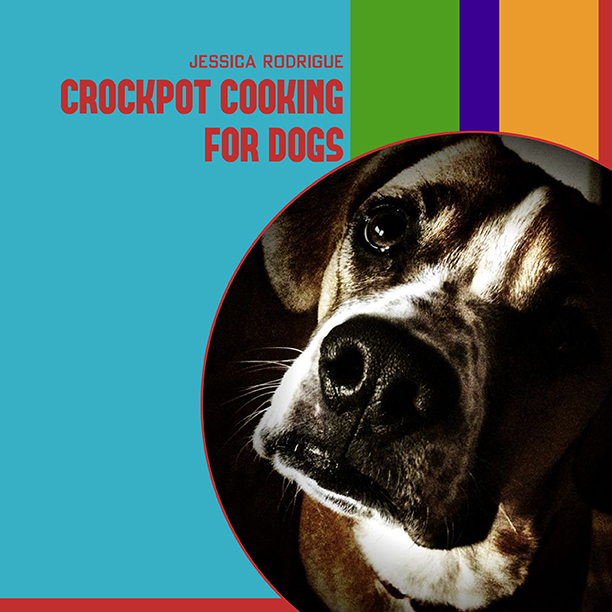 Crockpot Cooking for Dogs: Available on Amazon! So, if you are a crazy person like me that cooks for your dog…or you want to cook for your dog…or you know someone that would love this-pick up a copy! I am sure if you have a dog you also feel this way, but I am so lucky to have this little guy. He makes me so happy and I love him all the way!